Hey, Class of 2019! How about a little something from us to celebrate this awesome milestone? From March 29 to April 30, enjoy a free katsu set when you spend at least P1,500. 1. Promo offer is valid for dine-in only on Mondays through Fridays, from March 29, 2019 to April 30, 2019. 2. Promo is non-convertible to cash or other merchandise, and cannot be used in conjunction with any other promotional discount. 3. 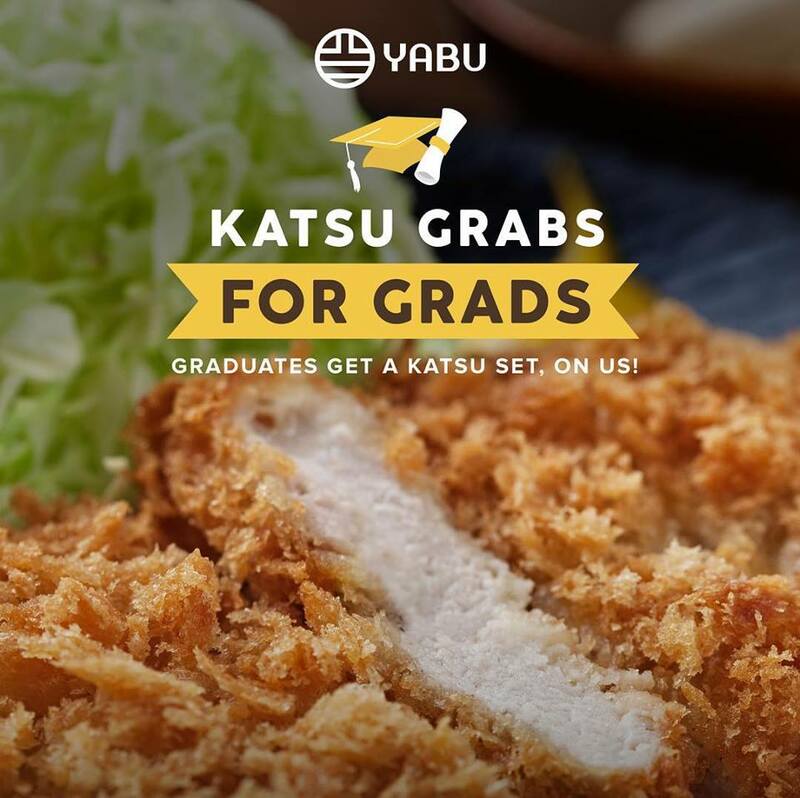 Promo is applicable to one (1) free katsu set from the following choices: 80-g Rosu, Hire, Chicken, or Cream Dory katsu sets. 4. Graduates must present a recent graduation photo to avail of this promo.